Q: Who do I contact if I am interested in a puppy? Contact the breeder of that particular puppy. You can find all of the information you need when you click on the picture of the puppy you are interested in. The breeders name and telephone number as well as other specifics about the puppy are located on that page. Q: How do I advertise Puppies with Greenfield Puppies? Simply email us at info@greenfieldpuppies.com requesting info on advertising! Q: Can I purchase a puppy today? PA State Law requires a puppy to be 8 weeks old before it can leave the breeders home. Please make arrangements with the breeder to pick up your new puppy. Q: What do I do if I buy a puppy and it gets sick? The first step is to contact the breeder of the puppy directly. In the event the breeder is unresponsive to your inquiry, you can contact us for assistance. All breeders are expected to guarantee the health of their puppies in accordance with the laws of their state. Q: Is Greenfield Puppies a puppy mill? No, we are an advertising source for reputable breeders. If we find a breeder to be in violation of state breeding laws, we will discontinue advertising for that breeder. We ask the public to make us aware of any situations they come across so we can take the proper steps necessary. Q: How can I be sure this is a reputable organization? 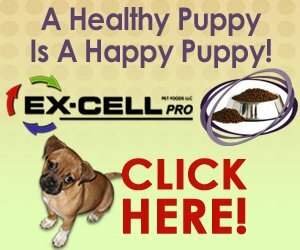 We have been connecting healthy puppies with caring families for over a decade and strive to advertise for breeders whose standards are as high as our own. Feel free to check out what our happy customers are saying! Q: Where is Greenfield Puppies located? The majority of the breeders who advertise on our website are located in Pennsylvania and surrounding states. Q: What is your return policy on your puppies? Contact the breeder who you purchased the puppy from. Each breeder has their own guidelines on returning a puppy. Q: What kind of health guarantee do I get with my puppy? All puppies advertised on Greenfield Puppies are covered through the breeder with the PA State 30 day health guarantee. 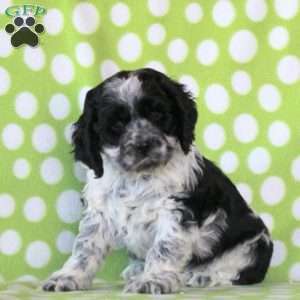 However, some breeders on our site choose to offer an extended guarantee which will be noted on that particular puppy. Q: Is there a law that all puppies need to be vet checked before the sale of the puppy? No, but we highly recommend all breeders who advertise on Greenfield Puppies have their puppies vet checked. All puppies are required to be current on vaccinations and given dewormer. This can be administered by a vet or by the breeder. Q: Do you ship puppies? Yes we do. For all of your shipping questions…click here.